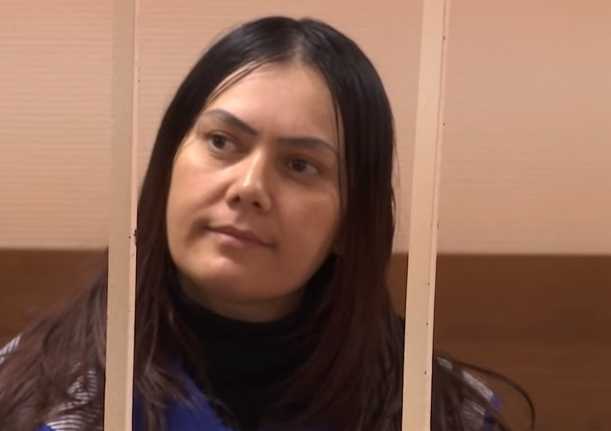 MOSCOW — An Uzbek woman who served as a nanny to a four-year-old girl declared prior her arraignment in court on Wednesday that Allah “ordered” her to cut off the girl’s head, which she then carried through the street. Gyulchekhra Bobokulova, 38, had been taken into custody by police on Monday after she was seen waving around the child’s head at a metro station in Moscow. She was taken for psychiatric evaluations before appearing in court two days later. “Allah is sending a second prophet to give news of peace,” she claimed. In addition to killing the girl, named Nastya Meshcheryakova, who suffered with epilepsy, Bobokulova is accused of setting the family’s apartment on fire before running off with the child’s head. Firefighters found the headless body of the little girl in responding to the blaze. Witnesses say that Bobokulova was dressed in black and shouted “Allahu Akbar!” as she stood outside of the Oktyabrskoye Polye metro station Monday morning, waving the girl’s head in the air. Bobokulova admitted to the crime in court on Wednesday and has reportedly agreed to speak with police. Some believe that the woman suffers from schizophrenia and was under the influence of psychotropic drugs at the time of the crime. The Daily Mail reports that Bobokulova, who has three sons, had kept her mental illness a secret. She had been divorced, and was in a relationship with another man, who soon went back to his wife. Those heartbroken over the murder have flocked to the Oktyabrskoye Polye metro station to lay flowers, candles, stuffed animals and chocolates in memory of the child. A fundraising effort has also been launched to help the family, which is now both without a home and their daughter. Nastya’s father, Vladimir Mesheryakov, said that he and his wife are devastated over the ordeal. Mesheryakov requested help finding the family dog, who went missing during the incident. Prosecutors are asking that the woman spend at least three years behind bars for the crime.